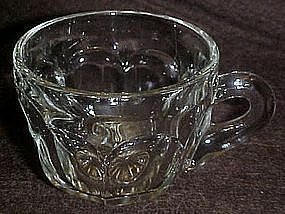 These nice heisey punch cups are unmarked. Colonial pattern with 8 panels and a star bottom. They are 2 1/4" tall and have a diameter of 3". I have 8 available and all are perfect. Price is for each cup.